Who's picking vol knob locations on these "metal" guitars? Discussion in 'Standard Guitars' started by MYGFH, Feb 13, 2019. Got a huge bone to pick with these. What chicken-pickin player is placing the vol knob on the "metal" guitars. I'm talking about when the vol knob is lined up with parallel to the bridge pickup to somewhere between there and not quite parallel to the bridge. I play in a classical style, unless that knob is moved back either parallel to or slightly behind the bridge, my hand constantly bumps the vol knob. Sorry for the rant, I just don't get why companies are still doing this and their marketing departments tell them, "oh, metal players don't buy nice guitars" and they quit putting stuff out on the market for us. When some goob just put the vol knob in the wrong place. And, why do metal guitars have a tone knob? I don't need it, don't use it. Again, sorry, sorry. But how many of you have picked up a guitar in store and love the guitar, but can't get past the knob location? So frustrating. I get the impression that volume knob placement isn't a sticking point for many people. This is the first I've ever heard of there being a "metal" control layout. I mean, there are guitars with varied control locations. There are guitars without tone knobs. It's also really to mod those things. If anything, I think I'd be more annoyed with guitar makers pigeonholing metal players into a bucket where it's assumed we don't need versatility or standard guitar things. Just one bridge pickup (probably an EMG), and no knobs at all 'cause EVERYTHING AT 11 ALL THE TIME, right? Also flat black, everything pointy. Manurack, tedtan, possumkiller and 4 others like this. What I usually see is there are a couple common types of holding the pick. Some people make an "OK" sign with three fingers (middle, ring, pinky) kind of spread out. Others (myself included) tuck these three fingers in making a sort of loose fist. A lot of players I admire use the former, but one advantage to the latter is that you do not generally bump into knobs. I play music and xzacx like this. I have a good example and I hope it helps. This is what drove me to start the thread. I was so digging these PRS Custom 24's, but like I can't get over the vol knob location and how this beautiful guitar has such a dumb flaw. Luafcm and sezna like this. Yes some guitars are annoying when you play it because of their volume knob's location. I swear I am going to replace the volume pot with a killswitch on some my guitars. I wouldn't consider that either a metal guitarist thingy, but a preference in general. Every player has developed their own technique in the early days which is hard to learn out. This specific issue isn't a right or wrong thing but a preference, so I consider answers like "get used to it" worth of nothing. E: Cheap trick people do is just replace the tone with vol and put some tape to cover the hole. I’ve removed a few volume knobs for hitting my pick hand. I put a plastic furniture plug in to cover the hole, that works great! IMO awful placement on all the electronics on the 2019 PRS Custom 24 Floyd. dhgrind and Luafcm like this. Trust me, I've put serious thought to removing the vol knob and swapping it with the tone knob and either leaving a hole or installing a kill switch. Then you're left with a vol knob totally out of reach and hole in a nice new guitar. And that's just not acceptable. The PRS DW sig has proper vol knob location. Why in the heck didn't they use this on their premium model? And, to the comment about closing your picking hand. I don't think they are playing in a classical style because my ring finger still knocks the knob when my fingers are curled. I admit that naturally my hand lays flat. But I play with my fingers curled too. There's a great pendulum feeling you get from alternate picking you get with your hand closed. This also leads me to think that the person placing the vol knob location is a strummer. Since one thing all metal players have in common is that the base of our palms are either resting on the bridge or barely lifting off to let notes sustain. But always the hand is very very close to the bridge at all times. I alway disconnect the tone knob and swich positions of the tone and vol knob. This gives me maximum tone and prevents the vol knob from getting rolled back inadvertently. Nitrobattery, Dumple Stilzkin, Hendog and 1 other person like this. I completely agree. 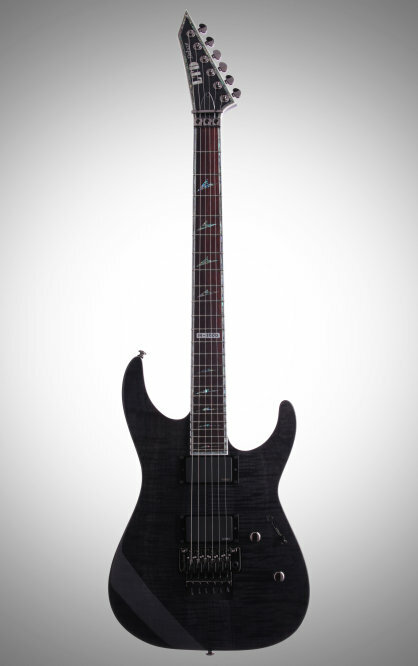 My favorite guitar is the Ibanez RG. My only problem with the guitar is that the volume knob is directly under the bridge pickup. I have had to tighten up my picking hand in order to not hit the knob. I much prefer the placement of the knobs on my EBMM/SBMM Petrucci models. Those are...totally normal knob placements? I mean I believe you when you say your hand hits them constantly but that's where the volume knob is on like 90% of guitars. It's obviously not a common gripe or builders wouldn't put it there. If you absolutely can't stand it, try a Keith Merrow or Misha sig, they put the volume knobs in another friggin' county. Personally I've never had that problem except with strats, where it's even closer to the bridge pickup. The volume knob wasn't in the wrong place, you were playing the wrong guitar. I've been bitching about this for awhile now and usually get met with hostility from other guitar players. I love close volume knobs. When they are far away it feels clunky and pointless. And, why do metal guitars have a tone knob? I don't need it, don't use it. Guess you're not a fan of Celtic Frost or Obituary? I like the Volume knob adjacent to the bridge pickup, I can't imagine playing a guitar that has it by the bridge. I guess I would have to have fast hands to roll the volume. I am with you on the tone knob, but I rather it be included than not. Gives me a knob location to install a mod if I wanted too. You do have to realize though like previous comments have pointed out. You are in the minority and that is why it is how it is. But how many of you have picked up a guitar in store and love the guitar, but can't get past the knob location? So frustrating. True story. 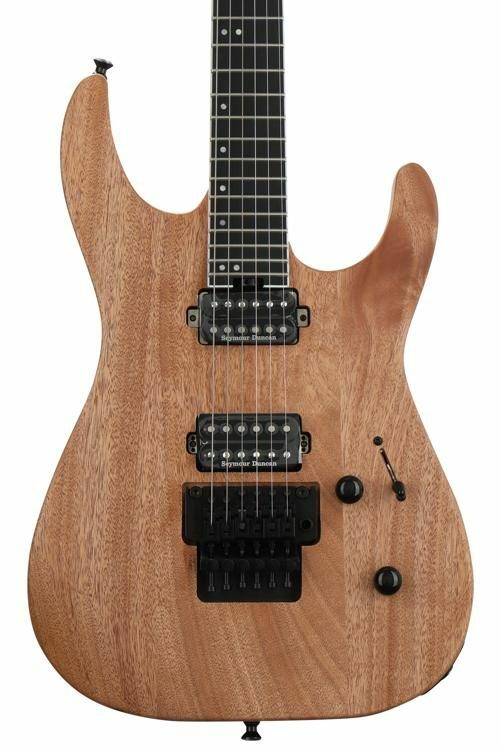 I went into a L&M store to buy a new replacement Jackson DK2. To my surprise they moved the volume knob. That, my friend, is frustrating. My fav guitar is no more.